We all are aware about one of the top ranking text chat, voice and video call providing service Skype. From a small conversation between family members to a conference between multinational companies everything is on Skype. This is all because of the call quality Skype is providing to their users. But as we know that developers keep on updating these apps for minor or huge bug. It happens some time that people face log in issue in skype due to the latest updates. Many users have reported that they faced problems while trying to sign in into Skype. 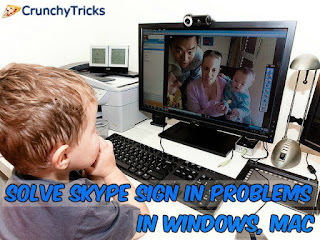 So to help you through out all the versions we've covered some tips & tricks here which can be easily implemented in order to solve skype sign in problem. We've found two best working methods which is surely going to fix your Skype login error. Check out them below. This is considered as one of the best solution and there are 99% chances that your bug will be easily fixed. First of all you'll need to close skype in order to receive best result. Right click on Skype's icon from the right hand side bottom notification area and press quit. Now navigate to Start, type Run and hit enter or simply press Window Key+R. 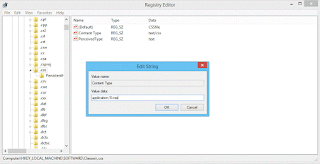 Type "regedit"in the search box and press enter. After that simply navigate to this path HKEY_LOCAL_MACHINE/SOFTWARE/Classes/.css. Select .css folder and then from right hand side window double click on "Content Type". Check the "Value data", it has default value as "application/X-css". Change it to text/css and hit OK button. If the above method doesn't work for you then try this one. Close Skype from notification tray as stated above. Ensure that you have enabled "Show hidden files and folders". Now search for Run or launch it directly by pressing Window key+R. Type "%appdata%" and press enter. Now search for Skype folder and open it. That's it, restart the app and your bug is fixed. Quit the Skype as it's the first step to get the best result of all the solutions. Do the same, delete the shared.xml file and restart your app. So this was all about how to fix Skype login screen problems. These were the best and proven solutions to this error. If you've any doubt or query then feel free to leave a comment below in the comment section.